TESORO Port St Lucie is a premier and private residential community, minutes from historic downtown Stuart and magnificent beaches of Hutchinson Island. Experience the lifestyle in every facet of this exquisite community, including the elegant and majestic TESORO CLUB a 100,000 plus square-foot Clubhouse. This magnificent club offers fine dining restaurant, spa, resort style swimming pool and jacuzzi, eleven Har-Tru tennis courts, junior olympic swimming pool and jacuzzi, two croquets courts, racquet ball, full service fitness center, two signature-designed 18 hole championship golf courses by Tom Watson and Arnold Palmer, golf Pro Shop, locker rooms, ballroom and much more. TESORO Port St Lucie HOA provides lawncare and landscape maintenance including cutting, trimming, fertilizing, mulch and general common areas. Pool maintenance of each home, basic TV Cable and internet service with Hometown Cable, onsite professional property management, exterior pest control around the perimeter of the home, alarm monitoring system, 24 hour guard-monitored and controlled access entrance. Private security officers provide roving patrol throughout the TESORO community. TESORO Port St Lucie is located within short driving distance from the Florida Turnpike and I-95. Across from TESORO communtiy is The Shoppes at Veranda Falls where you will find Publix, Bone Fish Mac’s restaurant, Wells Fargo Bank and much more! WHO TO CONTACT FOR MORE INFORMATION ABOUT TESORO COMMUNITY? 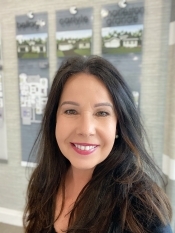 Contact community Real Estate Agents Millie Gil (772) 224-1634 or Carlos Gil (772) 224-9011 for a complimentary tour of your dream home in TESORO. For more information Click Here.